Rhode Island Supreme Court Medical Malpractice / Personal Injury Case Law. 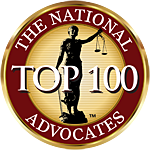 Important Rhode Island Medical Malpractice Law. 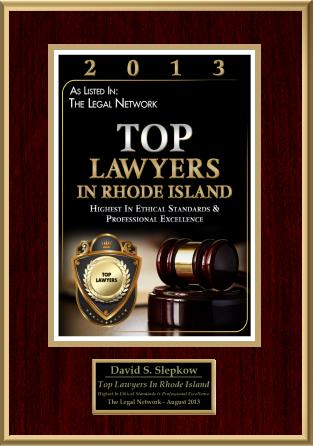 Cases Provided by Rhode Island Personal Injury Lawyer David Slepkow. On the Christmas weekend of 2000, James A. Warshaw, M.D. (Dr. Warshaw) was the on-call attending physician for the defendant, Atwood Medical Associates, Ltd. (Atwood), a medical group serving about 5,000 patients, including the plaintiff, Kenneth J. Gianquitti. Atwood had become involved in Gianquitti’s care in August 2000 for the treatment of a deepvein thrombosis, or blood clot, that had developed in his left leg after surgery. On December 22, 2000, Dr. Warshaw admitted Gianquitti to Roger Williams Medical Center (Roger Williams) and ordered that he receive intravenous heparin therapy. Soon thereafter, Gianquitti developed a priapism. [fn1] Because of the length of time that passed before the plaintiff was treated for this condition, he has been left with permanent tissue damage and erectile dys-function. This matter comes to us on the appeal of the plaintiff, Anton Mandros (plaintiff), from a Superior Court judgment on a jury verdict. The jury had determined that the plaintiff failed to prove by a preponderance of the evidence that the defendant, Glenn Prescod, M.D. (Dr. Prescod), was negligent in providing medical services to the plaintiff. The trial justice declined to instruct the jury on the loss-of-chance doctrine, and it is this sole alleged error that caused the plaintiff to file the instant appeal. Linda J. Franco (Franco or plaintiff) felt some serious pain in her stomach on Super Bowl Sunday of 1996, and it wasn’t because she couldn’t bear watching the Dallas Cowboys win another championship. [fn1] A trip to her physician led to a diagnosis that she was suffering from gallstones and that her gallbladder would have to be removed. She selected Joseph A. Latina, M.D. (Dr. Latina or defendant) to perform the surgery. Unfortunately, what Franco thought would be a simple procedure that would not even interrupt her plans for a Florida vacation later that week instead led to great pain and reconstructive surgery. Franco later discovered that during the procedure to remove her gallbladder, Dr. Latina mistakenly had removed her common bile duct rather than her cystic duct. She filed a medical malpractice suit against Dr. Latina, and, two trials and one appeal to this Court later, the second trial justice took the decision on liability out of the hands of the jury and granted plaintiff’s motion for judgment as a matter of law after she concluded that there was no legal basis for the jury to find in favor of defendant. The question of damages then was resubmitted to the jury, and after a verdict on damages was returned, judgment was entered for Franco. For the second time, Dr. Latina timely appealed. For the reasons stated in this opinion, and even though we appreciate the gravity of negating a jury’s verdict, we affirm. On this writ of certiorari, Kent County Memorial Hospital (hospital) requests that we review a decision of a motion justice granting the motion of the plaintiff, Margaret Pastore (plaintiff), administratrix of the estate of Fred V. Pastore (Pastore), whereby the hospital would be required to produce in the course of discovery in this medical malpractice civil suit some 750 pages of documents pertaining to one of its doctors. The hospital’s primary contention is that the production of these documents would offend the “peer-review” privilege afforded by G.L. 1956 § 23-17-25 and G.L. 1956 § 5-37.3-7. For the following reasons, we affirm in part and reverse in part. The defendants, Joseph Alessi, M.D., and East Providence Medical Center/East Providence Medical Center, Inc., appeal from a judgment in favor of the plaintiff, Rose Perry, in this action for medical malpractice. The defendants argue that the trial justice committed three errors of law that warrant reversal of the judgment and remand for a new trial: (1) failure to enter judgment as a matter of law in the defendants’ favor because the plaintiff failed to establish the requisite element of causation; (2) failure to instruct the jury properly on the burden of proof; and (3) failure to allow Dr. Alessi to testify about the opinion of a consulting physician. Additionally, the defendants contend that the jury verdict was excessive. For the reasons herein set forth, we affirm the judgment of the Superior Court. 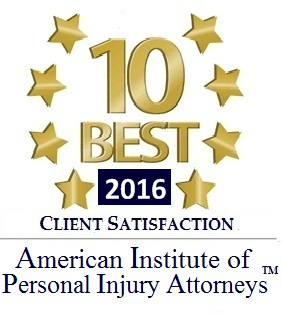 In this medical malpractice dispute, we must determine whether Medicaid is a “state income disability” act, and thus falls within a list of collateral source payments that are admissible to reduce a plaintiff’s damages under G.L. 1956 § 9-19-34.1. The plaintiffs, Thomas and Deborah Contois, have suffered a loss so profound that no mere judicial decision could ever provide a remedy. However, it falls upon this Court to address their appeal and their attempt to hold responsible those they claim contributed to the death of their eight-year-old son Zachary. The plaintiffs raise several issues in their appeal of a Superior Court judgment finding that the defendants, the Town of West Warwick and town rescue workers, were not grossly negligent in their delivery of emergency medical treatment to Zachary Contois. The plaintiffs urge this Court (1) to formally adopt the loss of chance doctrine, (2) that the trial justice’s failure to charge the jury on that doctrine confused the jury in light of the plaintiffs’ expert testimony, and (3) that the trial justice erred by including an intervening cause instruction in her charge to the jury. For the reasons stated herein, we hold that the loss of chance doctrine does not apply to the instant case. Additionally, we hold that although the trial justice erred by instructing the jury on intervening cause, as it was inappropriate to the facts of the case, the error was harmless. Thus, we affirm the judgment of the Superior Court.